It’s summertime, which is the time of year when tv shows go on hiatus and there’s only a few channels that air new shows. For me summer is the time for guilty pleasures! 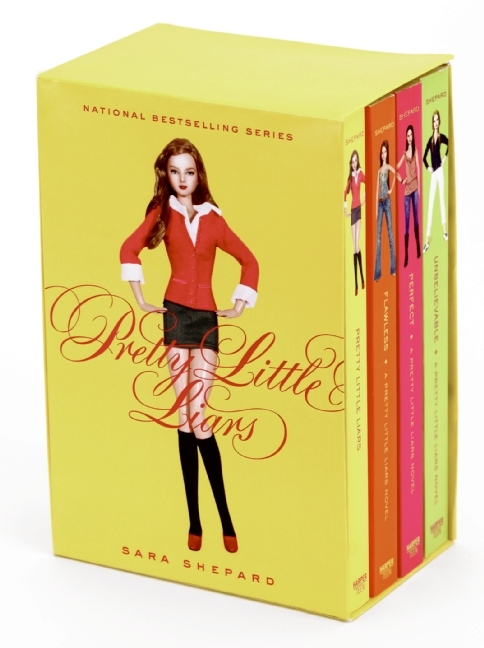 There is always one show a summer that gets me hooked, and my recent obsession is Pretty Little Liars on ABC Family. It all started last summer, who can resist a show with teenage drama and mystery?? I was HOOKED! I spent every Monday night last summer glued to the tv, and was sad when I had to wait a week for a new episode. Luckily ABC family keeps most of their shows going year round, with only a couple month breaks in between. It really helps keep you into the show, I never lose interest because I know it will be back fairly soon. So after being hooked on the tv show I decided to read the books (I love to read, but with grad school I only let myself read for fun over holidays and breaks). I went through all 8 books within the winter break from school. Just one book after another, usually about 1 a day or sneaking in reading time on my trips. The books are pretty different from the tv show. Some characters are similar but others are very different. After I finished the books and the show came back from winter hiatus, I was having trouble remembering what happened in the books and the movies, it definitely made it hard to figure out what was going on! I’m so happy that the show is back for it’s second season, I can’t wait to see what happens next!! And the next book comes out in less than a month! What is your guilty pleasure show?? And if you watch PLL who do you think is A? ?